While It seems that the world has completely failed to stop the merciless invasions of endless mosquito swarms and other assorted flying insect squadrons, there is still hope. 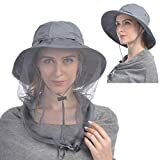 Forget all the toxic insect sprays, satisfying to watch but ineffective bug zappers, or just imprisoning yourself indoors all summer, just don this cool new Netsmen Wearable Mosquito Suit instead and never, ever surrender. 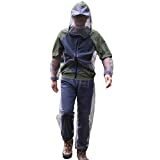 This full body anti-insect jumpsuit is made from breathable and lightweight mesh netting with 1 mm holes that are smaller than any annoying blood-sucking mosquitoes trying to get in. 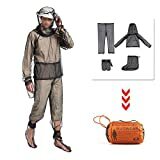 It includes the body suit along with a hood, leggings, and arm and hand coverings. Each section can be individually unzipped with ease AKA bathroom trips and the whole suit is machine washable. 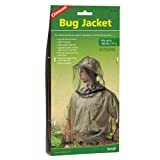 Perfect for gardening, landscaping, backyard BBQs, camping, picnics, chasing evening fireflies, or anytime you'll wish you were completely shielded from biting and, stinging, and buzzing flying pests. 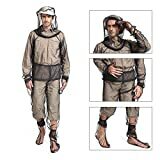 Jumpsuit also includes a net hood, leggings and complete arm coverings (even the hands).